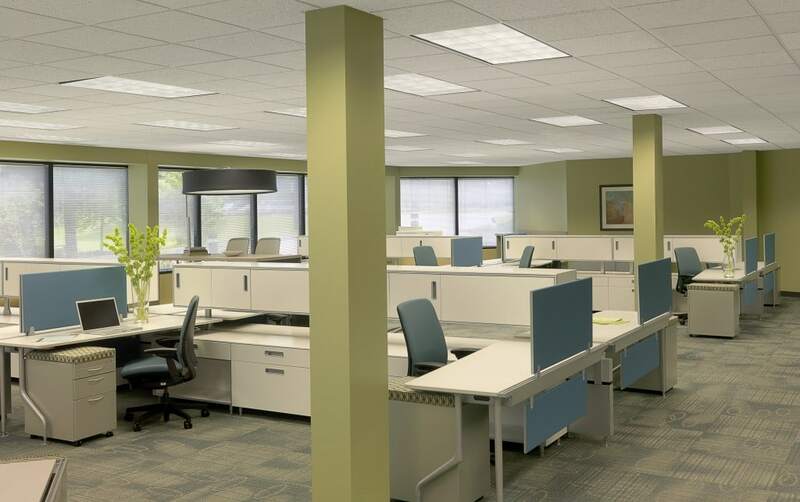 While relocating its Finance and Transformational Development groups, Ascension Health seized the opportunity to maximize the real estate by utilizing a smaller workstation footprint and eliminating private offices. 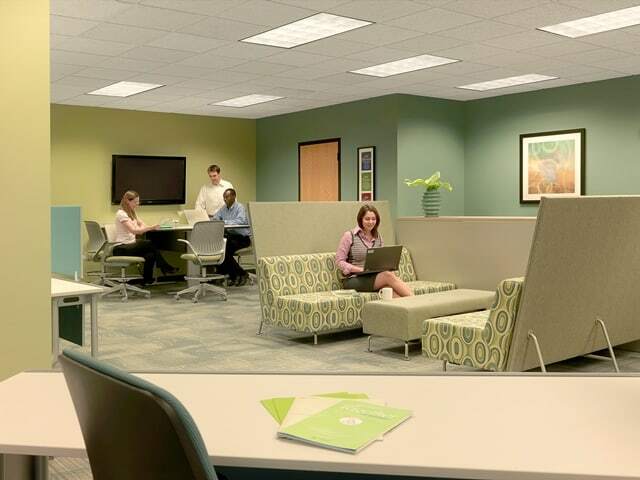 The new environment encourages employees to choose their work settings and be more mobile and connected. 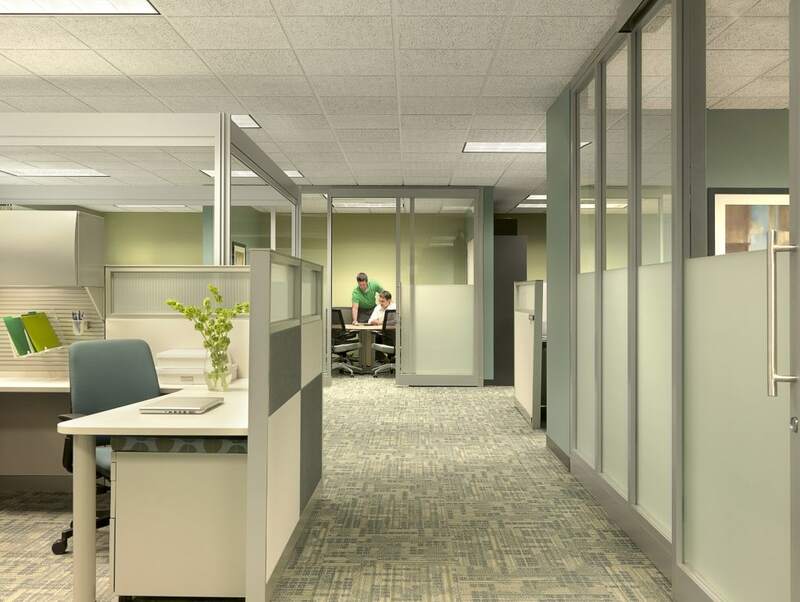 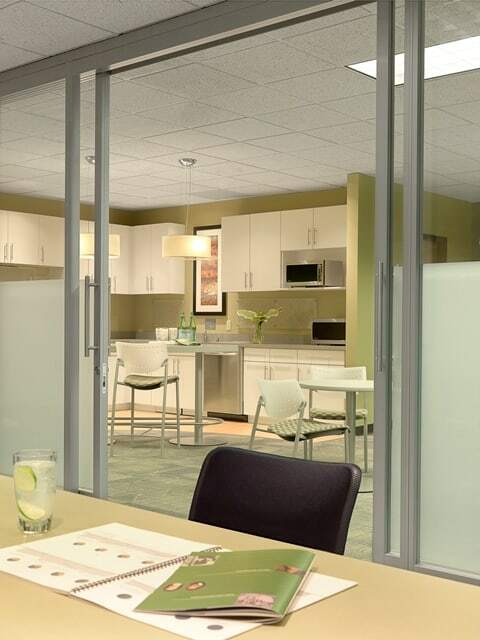 To encourage interaction between the different user groups, a variety of neighborhood work zones are offered, ranging from individual workstations to casual collaboration areas to private meeting rooms. 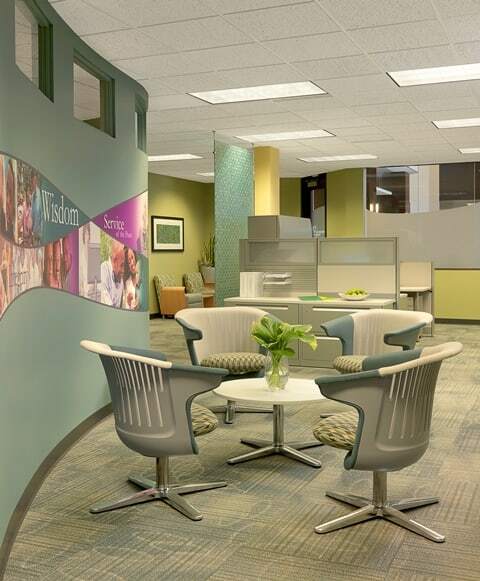 A graphic wall reinforces the organization’s mission and culture.